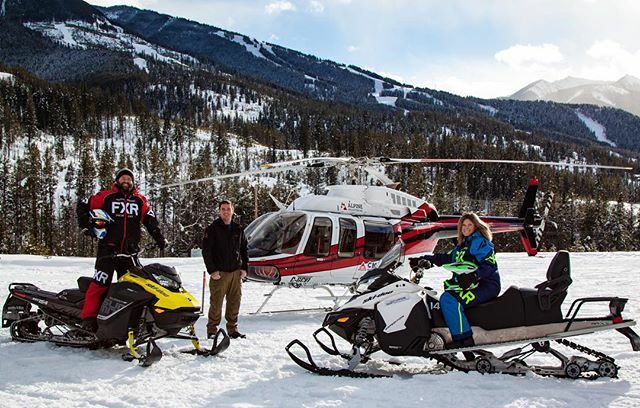 Experience an incredible sight-seeing helicopter flight over the vast wilderness of the Canadian Rockies AND an exhilarating custom VIP snowmobile tour to a remote cabin at 8000′. Alpine Helicopters offers the most spectacular sightseeing flights in the heart of the Canadian Rocky Mountains. 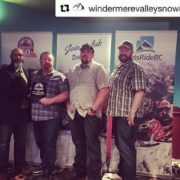 Their full-service tourist facility is located at the Canmore Heliport which is at the base of the world famous Three Sisters Peaks and adjacent to Banff National Park. Your spectacular 30-minute flight to the Toby Creek Adventures base will take you over the Spray Lakes Valley, then along the southern boundary of Banff National Park and over Assiniboine Provincial Park, Kootenay National Park and the Columbia Valley. Landing at the foot of impressive Mt. 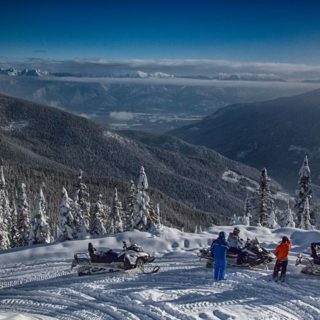 Nelson (3313 m / 10869′) you will be met by your guide who will lead you on a unforgettable custom snowmobile tour climbing 4000′ on a gently graded groomed trail through old-growth forest and past a frozen waterfall to an authentic alpine cabin overlooking a powder snow basin. 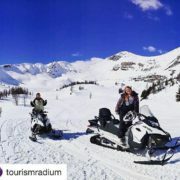 There you will see the remains of an old silver mine and enjoy free-riding time in Paradise Basin. 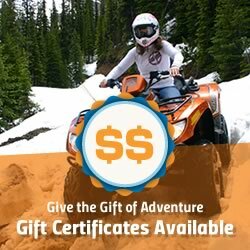 Snowmobile upgrades to 900cc 2-person touring snowmobile or high-performance 1-person mountain snowmobile. Return flight with Alpine Helicopters or return by road via Toby Creek Adventures transport. Flight departures from Canmore (30 minutes) or Calgary (60 minutes). Transfer from your Banff or Canmore hotel to the Canmore Heliport. Due to the variety of options, pricing for this tour is based upon your requirements and schedule. 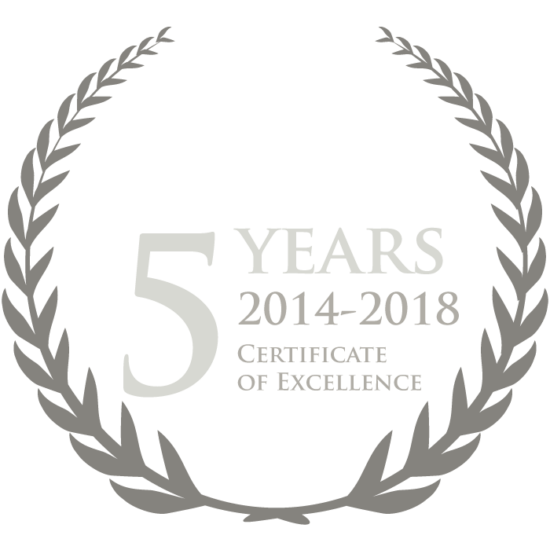 Please contact us or click on the “Book Now” button to initiate your booking. Custom pricing is available for this tour according to guest requirements. Please contact us.